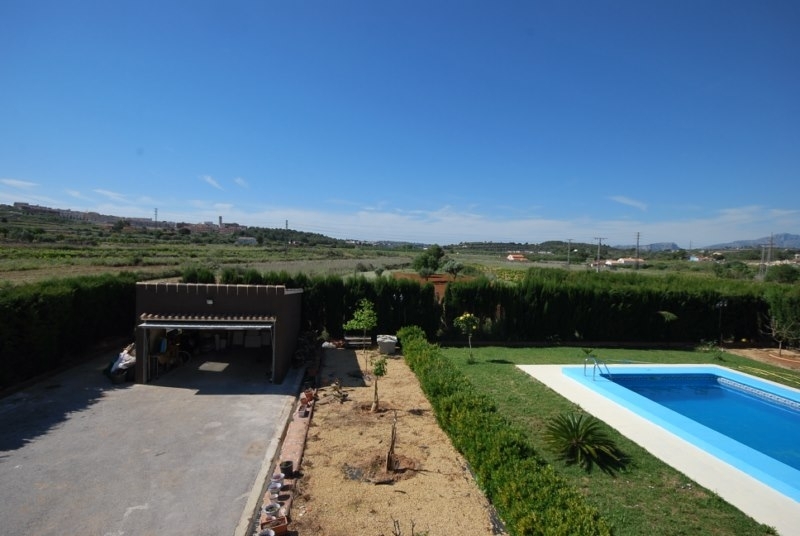 Charming finca located in Teulada on a flat plot with 5 bedrooms [possibly 6], 3 bathrooms, 3 living/dining rooms and 3 kitchens. Distributed as follows: 2 guest apartments, one with 2 bedrooms, 1 bathroom, 1 kitchen, living room; the other with 1 bedroom, 1 bathroom, 1 kitchen, living room. Main house; 2 double bedrooms, 1 bathroom, 1 kitchen, living/dining room with chimney. Outside a large covered terrace with a summer kitchen, traditional wood oven, BBQ of 80m2 for +/- 20 people, nice garden with pool 9 x 4.5m, water deposit, solar panels, large parking, airco, pre install. heating and several storage rooms.